SAN FRANCISCO -- Former U.S. Rep. Don Edwards of California, a longtime champion of civil rights and the environment during his three decades in Washington, has died at the age of 100. His son, Leonard Edwards, said his father died in his sleep Thursday night at his home in Carmel. 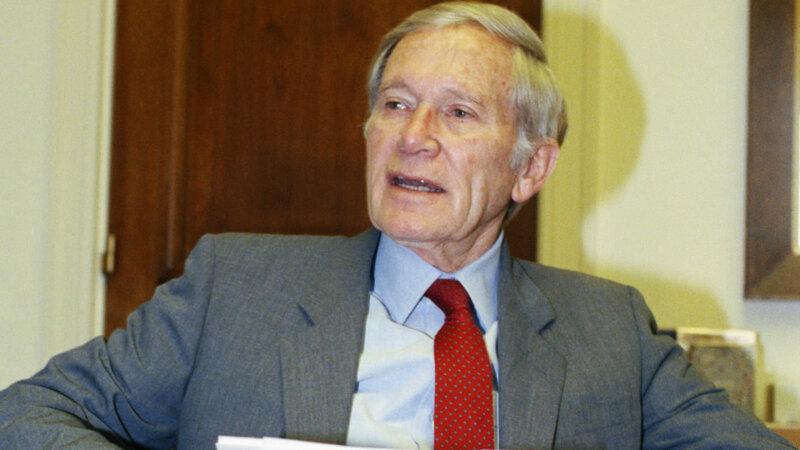 U.S. House Democratic Leader Nancy Pelosi praised Don Edwards as the one-time dean of the California Democratic delegation and conscience of the Congress. A native of San Jose, Edwards became an FBI agent in 1940 and served as a naval officer during World War II. He was elected to Congress in 1962, where he established a reputation as a fierce liberal. He joined the Freedom Riders in the 1960s and opposed the Vietnam War. His survivors include four sons.